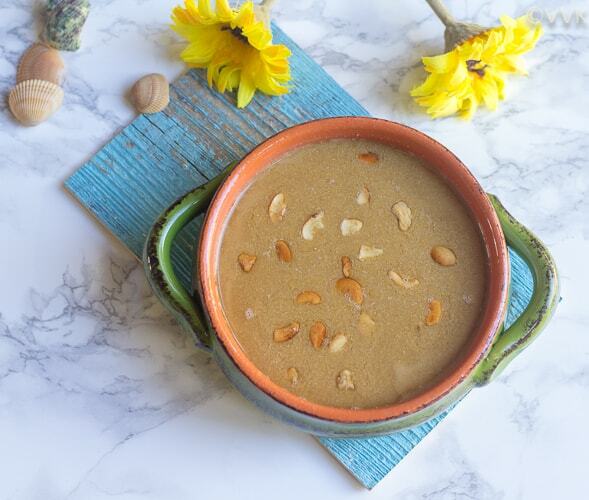 If you are following me on IG, then you would have noticed that the Gasagase Payasam will be there on my Ugadi menu. 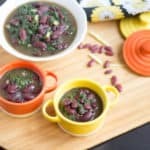 As always some recipes take their own time to show up on this blog, and this is one such recipe. Even though it is a staple in our household, it took me a while to post this. Poppy seeds have high alkaloids that have a calming effect helping with better sleep. 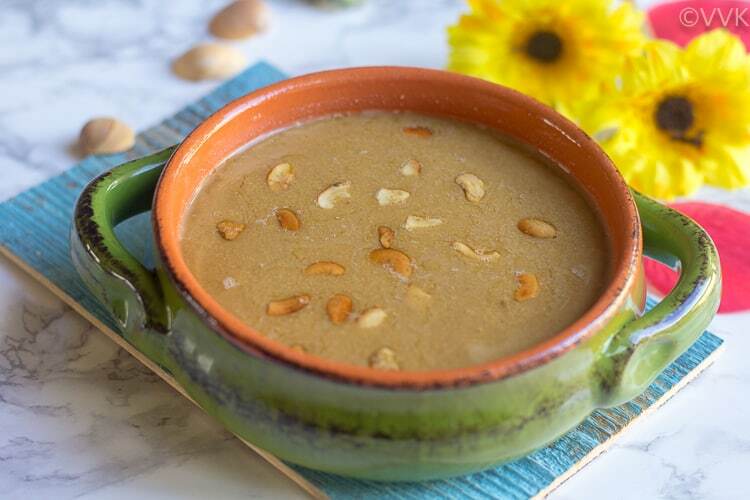 Poppy seeds are great coolants so preparing and consuming this kheer during summer will help our body a lot. But as the saying goes, too much anything is good for nothing. So keep the quantity at bay, and your body will thank you. 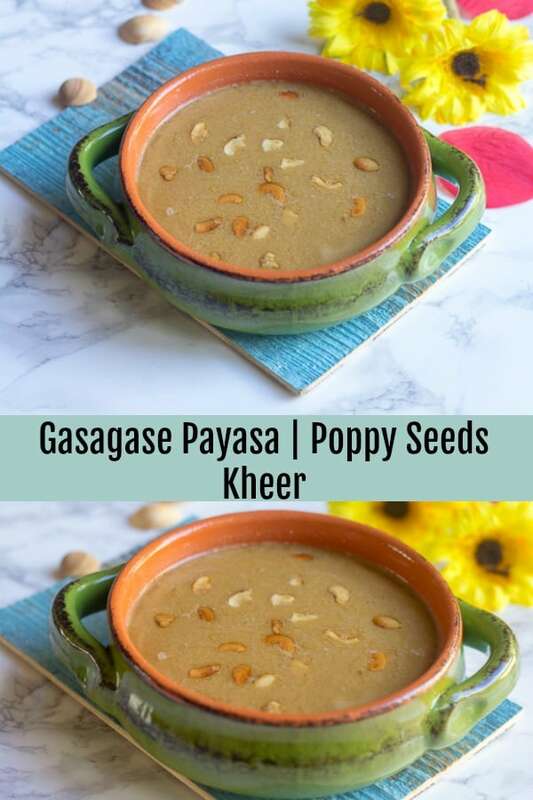 Gasagase Payasa – A healthy and a soothing kheer prepared with the goodness of poppy seeds, coconut, and jaggery. 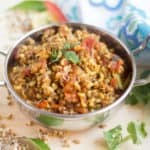 Dry roast the poppy seeds and rice in pan or kadai without adding any oil or ghee until you get an aroma over medium heat. Do not let the poppy seeds to brown. 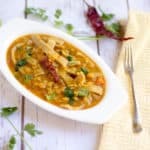 Turn off the heat and add the coconut to this and just let it cool. We don’t need to roast the coconut. 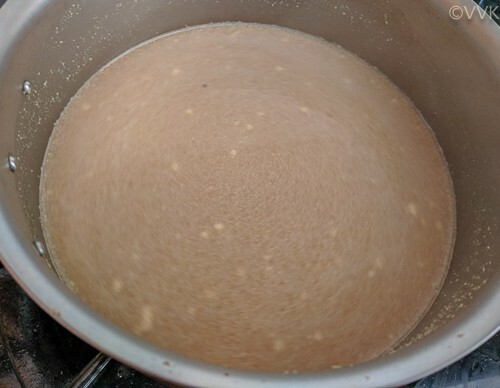 Meanwhile, heat 2 cups of water and add the jaggery. Let the jaggery dissolve and if there are any impurities, turn off the heat and strain the jaggery water to filter out the dust. 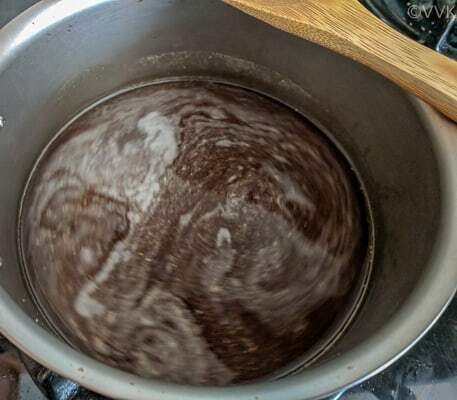 Let the jaggery water simmer for a couple of minutes. 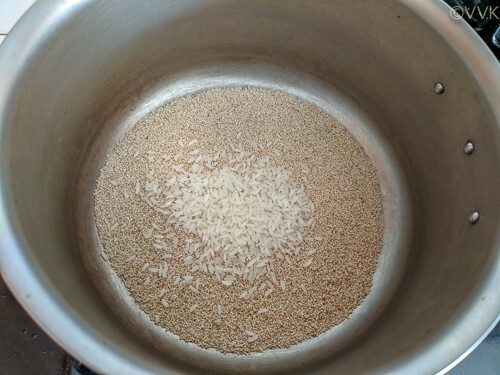 While it is simmering, grind the roasted poppy seeds, rice, and coconut into a fine paste by adding ½ cup of water. 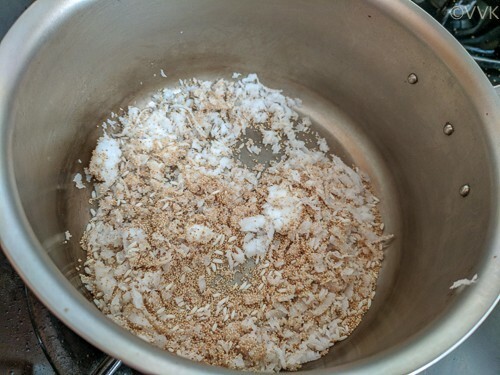 Add this ground paste to the jaggery water. Add ½ more cup of water. I usually rinse the mixer with this additional water and add to the kheer. 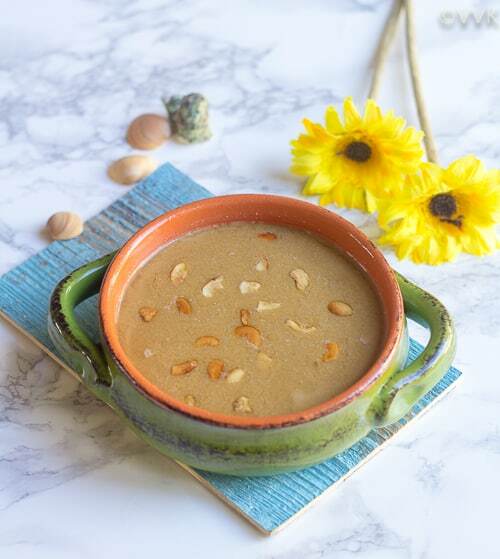 Add the cardamom powder and let the kheer simmer for 5 to 7 minutes over low-medium heat. In a separate tempering pan, heat ghee and roast the cashews until brown. Add this to the kheer and serve hot. 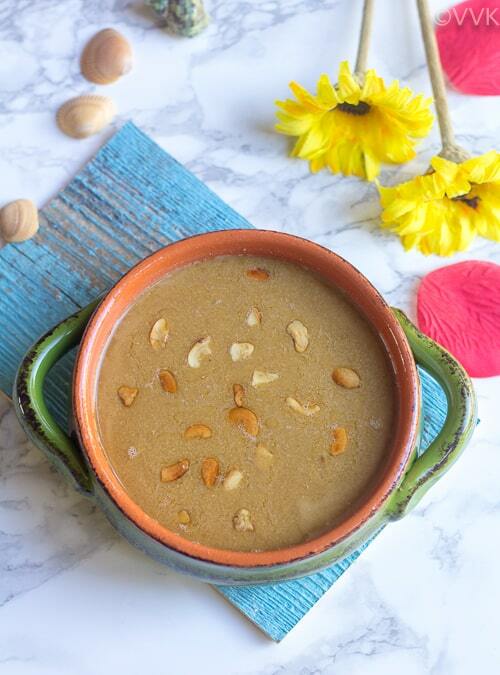 For this measure, I have used more jaggery as we prefer it that way especially for this kheer. But you can adjust according to your preference. Also, you can use more coconut or along with cashews you can roast coconut, raisins and add it to the kheer as well. Please do try Mir. I am sure you will love it. That looks scrumptious dear! we dont get poppy seeds here, i can enjoy only when i m in chennai! would love to try this when i m there!!! Recently learned that poppy seeds are banned in few countries… Hope you can try in Chennai. 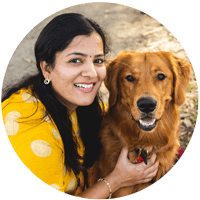 Thanks, Priya. 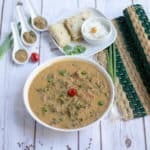 I have never made a poppy seeds kheer. This looks so rich and very inviting. Bookmarking to try soon. Thanks, Sapana. Please do try. :-) You will like it. 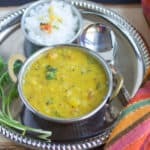 Great dish for karanataka..This is one awesome kheer !! You know what i too made this.. Will be posting it for the Mega Marathon!! I would love to try this kheer . I am a big time fan of kheer and this one sounds absolutely delicious . We can omit jaggery and add sugar , right ? Oh yeah. You can add that. Jaggery provides that bit of iron content along with poppy seeds but no harm in adding sugar though. Thanks, Usha. Please try it out. You will like it.